Stormy Daniels lawyer says WH claims that Trump won arbitration are "ludicrous"
Stormy Daniels sues over "hush agreement"
An attorney for adult-film star Stephanie Clifford, who performs under the pseudonym "Stormy Daniels" says the White House's claim that President Trump won an arbitration case against his client is "ludicrous" and insists that Mr. Trump didn't "win" anything at all. Clifford received a $130,000 payment from Mr. Trump's personal attorney Michael Cohen before the 2016 election. On Tuesday, she filed a lawsuit in California asking the court throw out a nondisclosure agreement preventing her from talking about her alleged affair with the president which she says should be nullified because Mr. Trump never signed it. The document released by Clifford shows that Mr. Trump, who, according to Clifford's attorney, is referred to as "David Dennison," did not sign the agreement. A closer look at the agreement shows that it provides for an arbitrator to award $1 million in damages payable by Clifford to Mr. Trump for each breach of the agreement. In February, a manager for Clifford said she believed that Cohen had invalidated the agreement by publicly discussing the payment, and that she was therefore free to discuss her alleged affair with Mr. Trump. 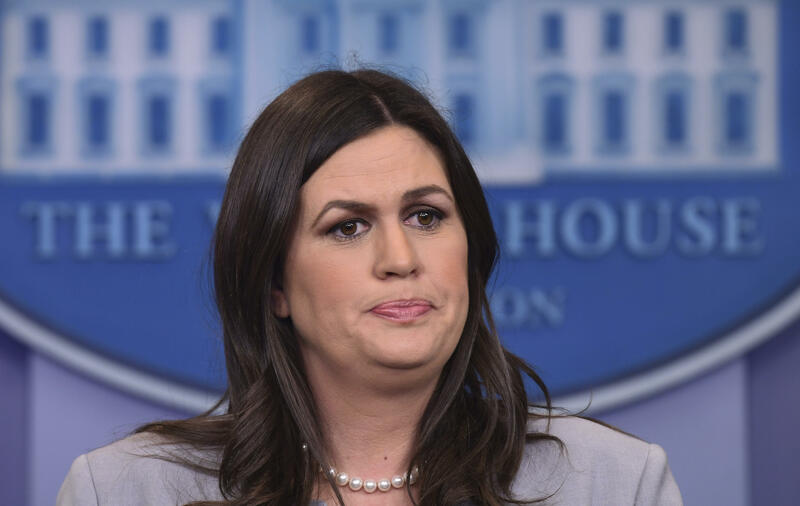 White House Press Secretary Sarah Huckabee Sanders told reporters on Wednesday that she was not aware of whether Mr. Trump knows of the $130,000 payment to Clifford, and said "the president has denied the allegations against him, and again, this case has already been won in arbitration." Daniels' attorney, Michael Avenatti, told CBS News Wednesday that the White House's claim that an arbitration case was won in the president's favor is "completely false" and "bogus." "For the White House spokesperson to stand up and claim that Trump won the case in arbitration is ludicrous. I'm dumbfounded," Avenatti said. Avenatti insists Mr. Trump's lawyers didn't "win" anything. He says Cohen's LLC, "Essential Consultants," got an arbitrator with California-based ADR Services to issue a temporary restraining order against Daniels last week. Avenatti says Cohen had the arbitrator issue the order without giving Daniels or her lawyer any opportunity to argue their side. "There's no hearing, there's no due process, there's no determination on the merits," Avenatti told CBS News. "We weren't even invited to the party." The lawyer called Sanders' view that the president won the case "completely false." "It's bogus. How do you win something you're not even a party to? How do you win something when the other side is not even invited? How do you win something when there's not even a determination on the merits?" he said. While Avenatti confirms that the agreement his client signed would require her to pay the president $1 million "per instance" of a breach of the confidentiality agreement, he says the agreement is null and void because Mr. Trump never signed it. Cohen's lawyer Lawrence S. Rosen said Wednesday in a statement to CBS News that "The Settlement Agreement contained an arbitration clause that permitted EC, LLC. to seek an injunction in the event of a breach or threatened breach of the agreement." "The designated judge from the arbitration tribunal found that Ms. Clifford had violated the agreement and enjoined her from, among other things, filing this lawsuit," Rosen said. "We intend to pursue our recourse in the context of the arbitration as agreed to by the parties and continue to categorically refute the claims alleged by Ms. Clifford and her counsel."